Fiberglass Swimming Pool Prices-How much does a fiberglass pool cost? The first question we get asked is “How much does a fiberglass swimming pool cost?” Unfortunately, it is also the most difficult to answer. Exact costs for your swimming pool project is absolutely impossible to give without seeing the installation site and speaking with your Authorized Thursday Pool® Dealer about specific equipment packages and accessories. With that in mind, we will do our best to give you a general idea of a reasonable swimming pool budget. 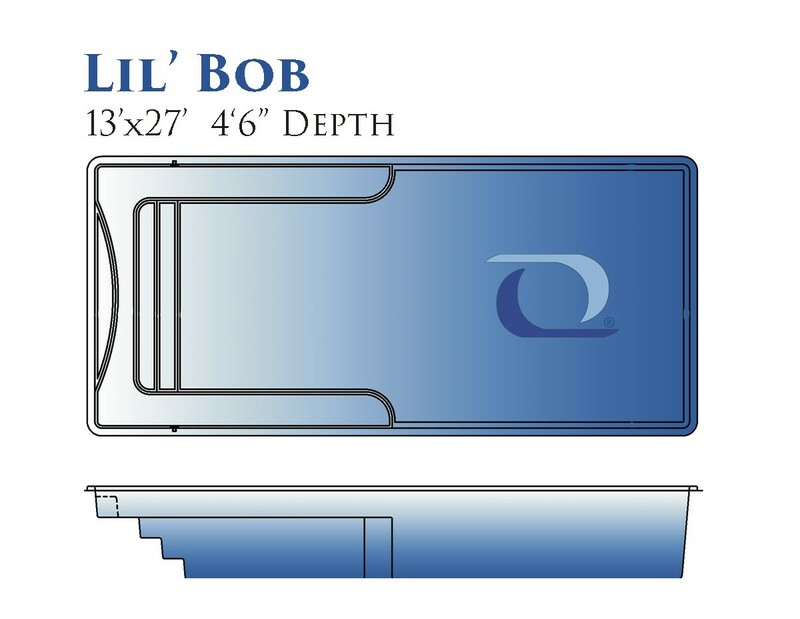 Lil Bob 1327 fiberglass pool model is 27’ in length, multiply that by the $1,000-$1,500 per linear foot and you have a ball park range of $27,000 to $40,500 for a basic installation. 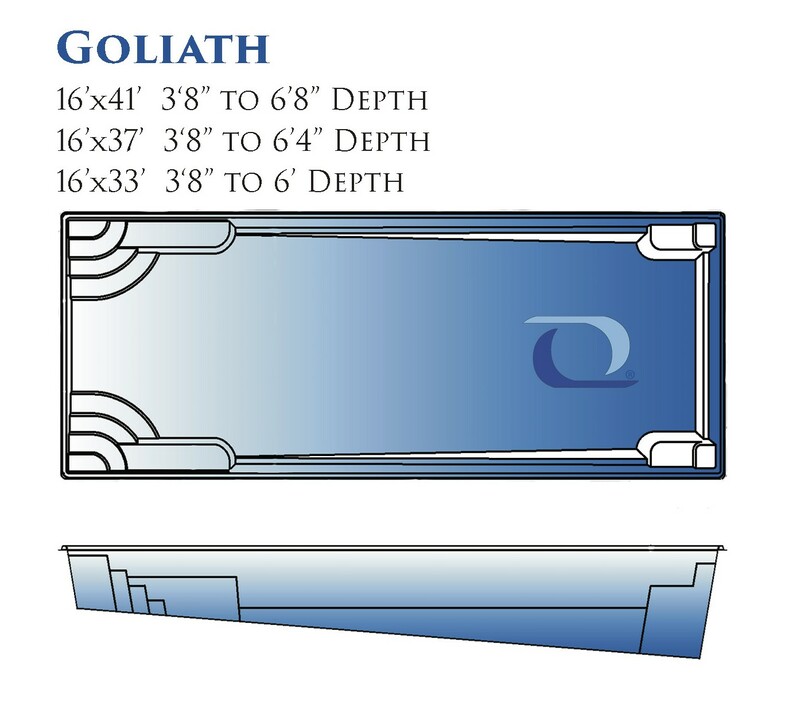 Goliath 1641 fiberglass pool model is 41′ in length, multiply that by the formula and you will have a ball park range from $41,000 to $61,500 for a basic installation. This formula should help you determine which Thursday Pool® model fits in your budget. Automatic safety covers, pool heaters, water features, automation, and salt systems are all items that will increase your pool estimate. Thursday Pools®, LLC is the manufacturer of the fiberglass swimming pool shell and has a network of independent dealers who will work directly with you to determine the best pool model and package for your budget. ALL our independent dealers determine their own pricing based on their local market, pool model selection, equipment and accessories, excavation required, miscellaneous site variables, pool deck surface and size and other services they provide. The previous mentioned variables only point out the main price contributors and therefore additional items or situations will impact the overall price. We always recommend that your first step should be to speak with an Authorized Thursday Pool® Dealer. Remember, there may be many financing options available to you and we can help connect you to those that can help make your backyard pool dream a reality. To get connected with an Authorized Thursday Pool® Dealer in your area, please contact us here or call 877-929-7665.